After four days of wild card and round-robin play, the playoff round is officially set for the 2016 OHL Cup. The Hamilton Jr. Bulldogs became the first team to wrap up a spot in the medal round thanks to a perfect 3-0-0 start by the end of Day 3 to clinch first place in the Lindros Division. The wild card entry Don Mills Flyers doubled up on the Mississauga Rebels in their final round-robin game to clinch top spot in the Shanahan Division. The Flyers will look to replicate the efforts of the 2010 Rebels – the only wild card team to win the OHL Cup. The York Simcoe Express and Quinte Red Devils clinched first place in the Subban and Nash Divisions, respectively. Each of the four division champions will host a second place team from an opposing division in the quarterfinals on Saturday. Preview: The Cinderella story continues for the Flyers who began the tournament in the wild card play-in game and now find themselves atop their division. The Red Wings finished the round-robin with an OT loss against the Greater Kingston Jr. Frontenacs. The high powered Red Wings offence – led by Matthew Hayami, Christian Lepone and Barrett Hayton – will be countered by the dynamos Flyers – guided by the likes of Jack McBain, Wyllum Deveaux and Tyler Weiss – in what should be an up-tempo affair. Preview: Two pre-tournament favorites find themselves in a rematch of the Silver Stick final. The Rebels, who won three straight in the round-robin before falling to the Flyers in their finale, hope for a different outcome than the Silver Stick showdown in November. Mississauga’s top D-pair of Peter Stratis and DJ King will be relied on, as will forward Thomas Maia, who has eight points through four games. 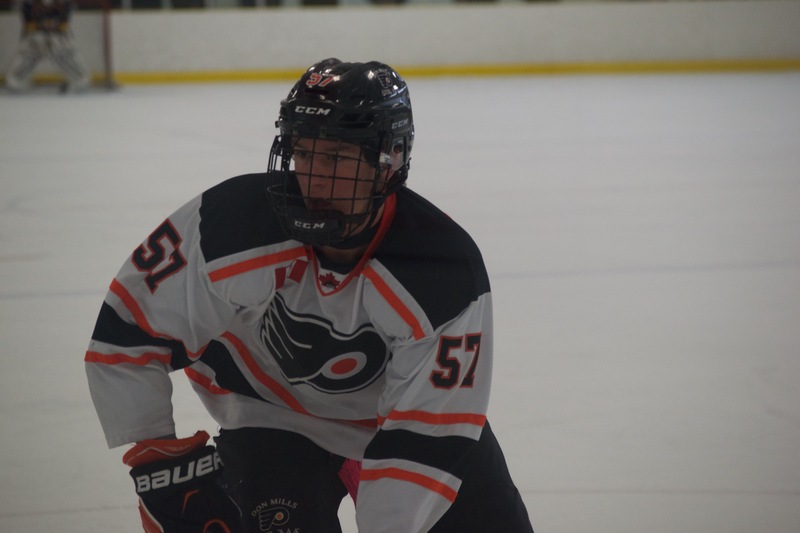 The Express, who started and ended the round robin with wins over the Red Wings and Windsor Jr. Spitfires, respectively, look to players like Ian Vucko and Cameron Hillis to provide offence for a team that is a downright dominant when firing on all cylinders. Preview: Hamilton has been downright unstoppable so far, being the only 4-0-0 team through round-robin play, while surrendering a tournament-low four goals against. The Jr. Bulldogs are big and mean, and players like power forward Jack Wismer and Marino Moro have no problem playing a physical, in your face game. The Kraft Cup champion Marlboros are peaking at the right time in search of their third straight OHL Cup title. Toronto was guided by a well-balanced attack in the round-robin, led by sniper Allan McShane and the shifty and feisty Akil Thomas, who has recorded three goals and six points thus far. Preview: JRC opened the tourney with a tough 3-2 loss to Hamilton, but are riding a hot streak into the quarterfinals after reeling off three straight wins. The heartbeat and engine of this team is defenceman Ryan Merkley, who was name GTHL Player of the Year on Thursday. Up front, forwards Kirill Nizhnikov and Matt Falls play an exciting and dynamic offensive game. Quinte, a wild card team that hasn’t lost a game yet, boast solid size and skill throughout their lineup. In the pipes they feature a formidable duo of Pierce Nelson and Evan Morrison, and are led offensively by forwards Nathan Dunkley and Dawson Baker. They aren’t the biggest team in the tourney, but play with their hearts on their sleeves and have no issue putting the puck in the net. The winners of Quarterfinals 1 and 2 will meet in the first semi-final at 6:00 p.m. at Scotiabank Pond 1. The second semi-final will follow on the same rink at 8:00 p.m. The four quarterfinals will be carried live on ROGERS tv Sports +, while the two semifinal games will air live on Rogers Cable 10 & 63 in Toronto. The focus will shift to Mattamy Athletic Centre on Monday night at 7:00 p.m. for the championship final, which will be broadcast live on Sportsnet Ontario.